Our October 30th update includes theme packs for Thanksgiving, Black Friday, and Cyber Monday! Thanksgiving is the time to remember being grateful. 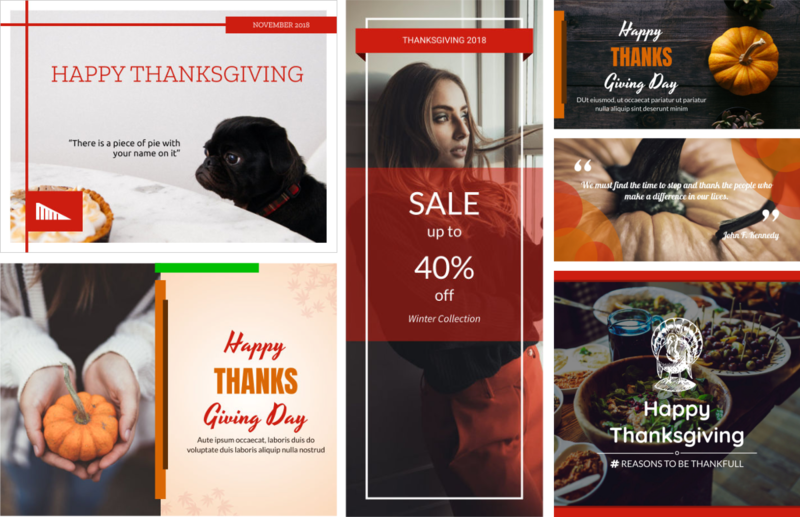 Our theme pack provides you with the perfect layouts for Social Media, E-Cards, and Flyers. Customize the templates in no time and make them your own. Don't miss out on the opportunity to tell the world about your Black Friday deals. 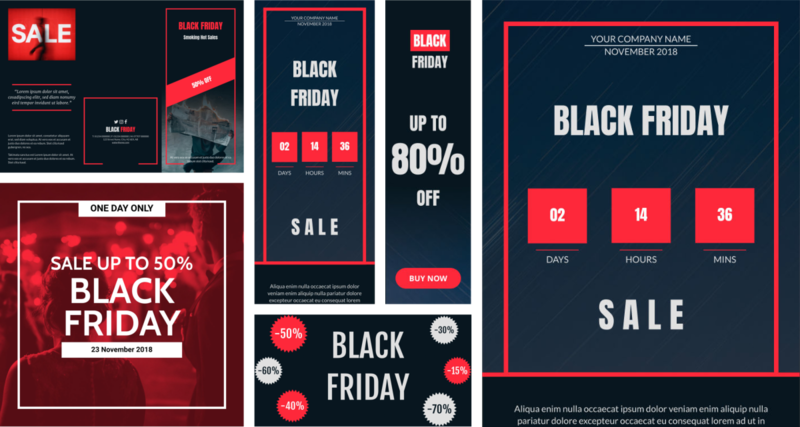 We have curated a must have selection of Flyers, Social Media, and Web Banner templates for you. Same same, but still different. With the end of Black Friday comes Cyber Monday. Try our Web Banners, Flyers, and Social Media Posts for Cyber Monday. We have even created special color palettes for Thanksgiving, Black Friday, and Cyber Monday. Get creative and mix and match the styles.